Just for the heck of it, here is a photo of one of the tins of ammo a friend of my fathers gave me at the time I got this rifle in 1961. I’m surprised I still have this tin and about 40 rounds of the ammo left, but I lost the stock, probably right after I put the sporting stock on it. That's very surprising, considering the 12-42 barrel date. PLEASE, do not buy an after market stock! That rifle deserves on original. Rebuild stamped, or not. Not a scant or C-stock, but a straight one. That is my opinion. Keep in mind any stock you do buy with markings will be meaningless to the rifle. Most stamps, marks and cartouches are specific to the rifle to which the stock was attached at the time of their application. Remove the stock from the gun and the markings are nothing more than racing stripes on a street rod. My point is don’t pay extra money for any stock with marks. It would make for a much nicer and honest piece if you went with a clean NOS stock. Last edited by S99VG; 02-17-2019 at 09:19 PM. I have bought a stock from a forum member. Here is one of the photos he sent me. It is minus the upper and lower bands, swivels, bayonet lug and ring. Once I have the stock and all the hardware and am ready to install it on the rifle, I hope to take some before and after photos, and I’ll post them when I can. I looked at that stock. You did well. 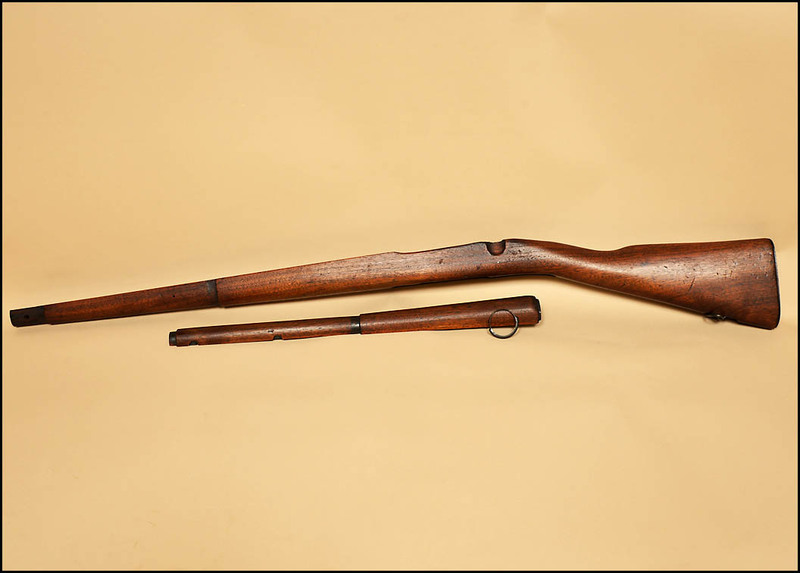 That Fajen stock is a great period piece and would be a score for anyone fixing up a Sporter. Last edited by S99VG; 02-18-2019 at 10:55 AM. 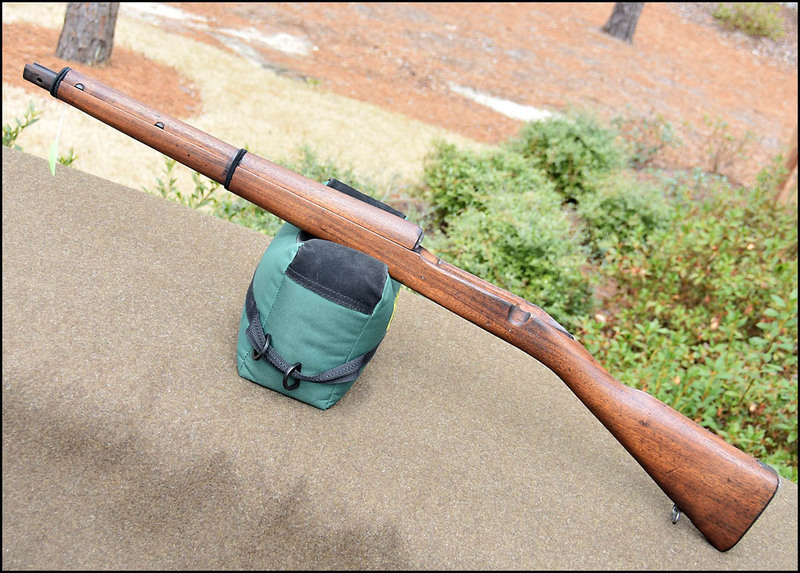 The 03A3 stock you got was probably made in 1943, judging on it having two pins instead of screw-in recoil lugs. Fajan went out of business about 1997 or 98. They made very nice stocks of many designs and wood selections. I recently finished fitting one to one of my 03A3 rifles. The stock arrived yesterday. I waited till I got the stock to decide if I want blued rings and swivels or parkerized. I ordered blued parts yesterday. It’s darker than the sellers image, but he told me that up front before I even bought it. Once I get all the parts, I’ll do some before (sportorized) photos and after photos. Might try to do a video of it, and might not. Will bring this thread back or start a new one when she is all back to looking original. 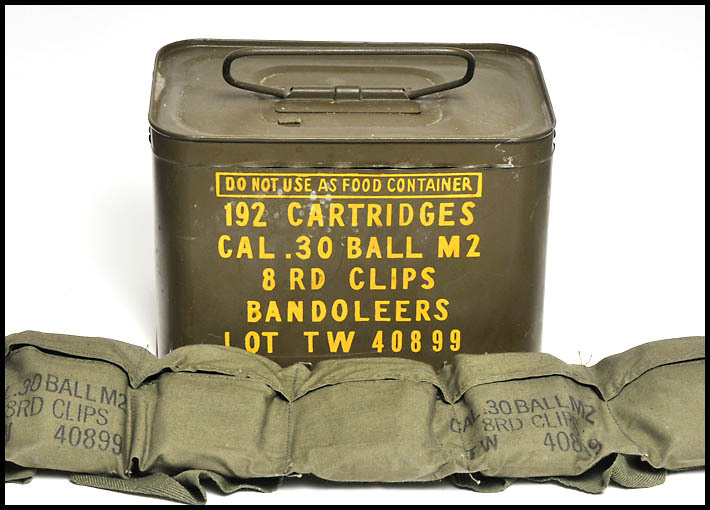 I have not shot this gun much in the last 30 years or so and all I have is a few rounds of some surplus ammo I got when I got the gun back in 1961, so I ordered some ammo as I want to keep the surplus ammo. I’m looking forward to shooting it again. Should the barrel be free floated? I know when I put the sport stock on it, I couldn’t hit anything till a co-worker told me it needed to be free floated. Made a huge difference once I free floated the barrel. I believe there should be a little upward pressure at the muzzle. But you get a ton of opinions on the subject of bedding. Tough one. I don't think you can bed them in CMP matches but for recreation and maybe others ones not an issue. And if it like free float thats the right way to go but a bit tougher in a Mil stock as they are not oriented that way. That's a nice stock. Yes and no. 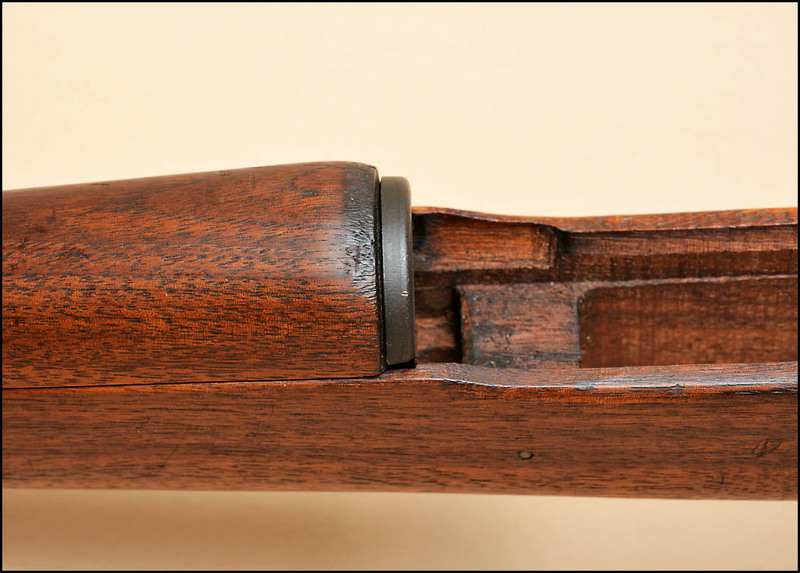 The barrel should not contact anything from the chamber to the last inch of the barrel. There should be contact/ upward pressure on the end of the barrel. Also the receiver ring should not be bound in the stock. That can effect the fit and cause you to loose that upward pressure. In other words when the rifle is assemble that ring should be a tad (yes that is precise engineering measurment) of wiggle room for it. If you have good contact at and behind the recoil lug and good upward pressure, she'll shoot.